On Saturday, at St Stephen's Church in Exeter, the launch of Exeter Writers' new anthology The Coastal Zoo took place in an event that also saw the inaugural Exeter Novel Prize being awarded to an Exeter Writer! Well attended by over 100 guests (including Ben Bradshaw MP, the judge Broo Doherty of DMM Literary Agency, the six Exeter Novel Prize finalists and many members of Exeter Writers), the event was a tremendous success. The prize had a very high-quality shortlist, but in the end Broo announced that Su Bristow's Sealskin was the winner of the £500 prize, a lovely trophy and - most exciting - an opportunity for the novel to be considered by a literary agent. 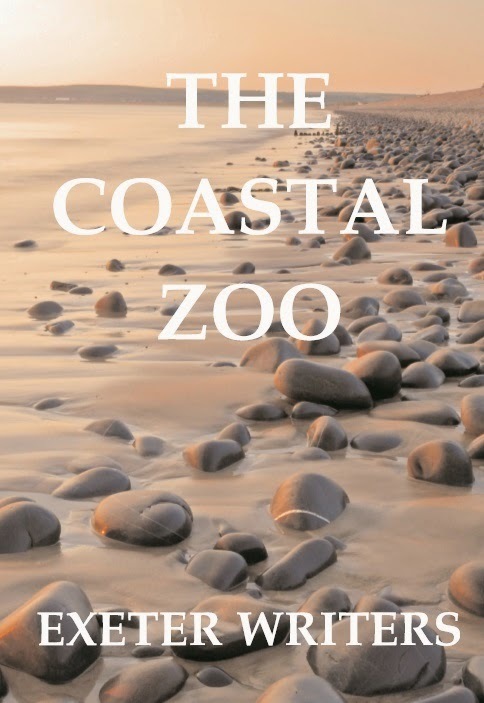 The Coastal Zoo, our beautifully typeset and printed new anthology, includes stories, scripts and poems by Exeter Writers as well as the winning stories from the last five years' Exeter Writers Short Story Competitions. It is available here.